“The Most Dangerous Game” is a sadly underutilized concept in digital formats. Sure, the current biggest genre in the world is all about hunting your fellow human players, but that’s not quite the same as a group of human prey attempt to outwit a better-armed hunter. Luckily, Deathgarden is set to fill the void with asynchronous multiplayer action, and it’s got a closed alpha you can (potentially) try out this week. 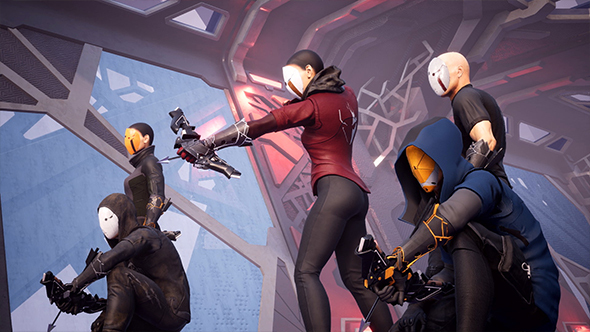 Deathgarden has five players as a team of fast-moving Runners working together to complete objectives, all while being hunted by a much stronger, better armed Hunter. All this takes place inside the Garden, a procedurally-generated arena that’s different every time you play, offering new hiding spots and terrain for the Runners to take advantage of. For more details on the game, developers Behaviour Digital will run a livestream alongside the alpha on their Twitch channel tomorrow. Behaviour previously developed the multiplayer slasher tribute Dead by Daylight, so their expertise in the field of asynchronous multiplayer is well-documented.